They Were Our Fathers, presented by WSRE. I don’t want him to be forgotten. I adored him and he adored me. He was my fishing buddy, my storyteller, my hero. And suddenly, when I was 10 years old, he was gone. Gone forever. I found it hard to understand that my father was missing somewhere in a country on the other side of the world. I did not understand the war that took my father away. What happened to him? Where was he? MIA - Missing in action. Days turned into weeks, weeks into months, months into years, years into decades. And as time went on, my memories of my father faded. I remembered special times, but I forgot the sound of his voice, the joy of his laughter. It made me incredibly sad - I didn’t want to forget. I didn’t want him to be forgotten. When a war ends, the soldiers go home. The dead are buried. The nation moves on, trying to heal the wounds of war. But for the families who waited on the home front and whose loved ones did not return, the war really never ends. The wounds really never heal. 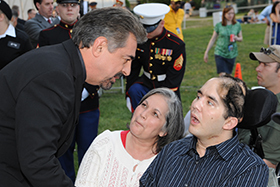 Families just like mine, whose lives were drastically changed forever by the Vietnam War. 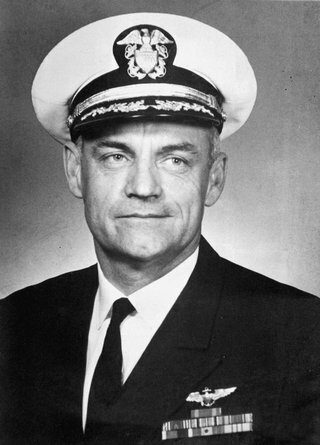 Navy Commander Donald Richard Hubbs My father, Navy Cdr. Donald Richard Hubbs, was the commanding officer of VS-23, the World Famous Black Cats squadron, stationed aboard the USS Yorktown. It was his second tour of duty in Vietnam. On March 17, 1968, my father piloted an S-2 reconnaissance aircraft with a crew of three, flying a night mission over the Gulf of Tonkin toward North Vietnam. After a radio call indicating their intention to investigate a light off the coast, the plane disappeared off the radar screen, and my father and his three crewmates, Lee Benson, Thomas Barber and Randall Nightingale, were lost and declared missing in action. Almost 50 years have passed. I don’t want them to be forgotten. Because to me, it feels like those who focus on barbecues, sales and a day off from work have simply forgotten. They have forgotten the true meaning of Memorial Day. They have forgotten the men and women who gave their lives to preserve the freedoms we cherish in the United States of America. I don’t want them to be forgotten. My desire to keep my father’s memory alive, to learn his fate, to show respect and honor finally led me to the very place that had taken my father away from me – Vietnam. In 1993, after identifying a photograph of an American prisoner of war as my father and after receiving a live sighting report about my dad from the Defense Intelligence Agency, I traveled to Southeast Asia. A credible Vietnamese source had claimed to have seen my father in the city of Dalat, being held captive along with 13 other Americans. So I traveled to Vietnam to see if I could learn anything about his fate. In Hanoi, I discovered a grave registration with my father’s name listed on it. Instead of answers, this only led to more questions, more waiting, more uncertainty, more limbo. I grew up never knowing anyone else who had lost their father in the Vietnam War. In the early 1990s, I read an article in Parade magazine about Sons and Daughters in Touch, a national organization whose members were the boys and girls, now men and women, who had lost their fathers in the Vietnam War. For the first time, I met others who had grown up just like me. We shared a mutual grief, a common bond. And none of us wanted our fathers to be forgotten. With the blessings of the National Park Service, we gather on Father’s Day in Washington, D.C., to show honor and respect to the fathers we loved and lost. We lovingly wash the black granite panels of the Vietnam Veterans Memorial, each of us scrubbing our own father’s name. We wash away the dust and dirt, rinsing away the soap with water flowing freely over the names of our dads, symbolic of the tears we have shed through the years. We lay roses at the panels that bear the names of our fathers – red roses for those killed in action, yellow for those still missing in action and white roses for those who returned home but who later died as a result of injury or illnesses from their service in Vietnam. There are so many powerful and heartbreaking stories these sons and daughters have shared about the loss of their fathers, of growing up without their dads. What these grown children share is the untold impact of war, the lasting effect on the families, the wounds that never heal. The grief and pain lessen over time, but the memories and love for those is never gone, never forgotten. We don’t want them to be forgotten. The PBS National Memorial Day Concert is so very meaningful to families like mine. 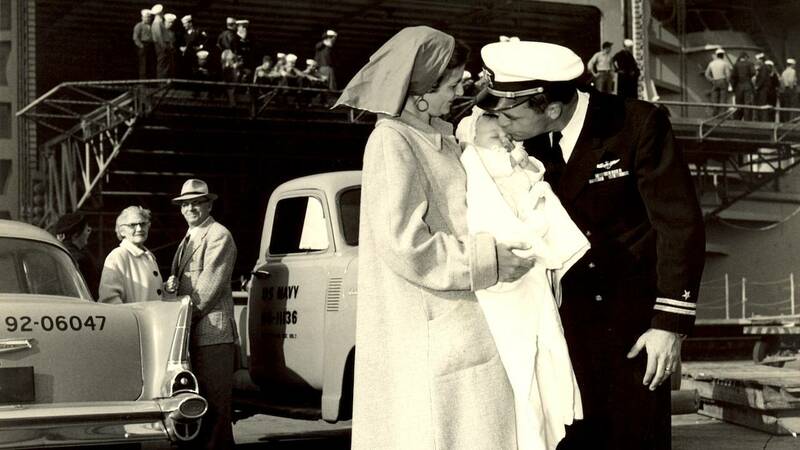 Not only is my father remembered, but his service and sacrifice are honored with respect and gratitude. 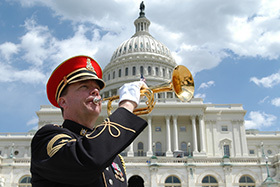 Memorial Day observances are held all over the United States, but PBS and only PBS devotes such a tremendous amount of resources, time and talent on a national scale to show reverence and gratitude to those who have given their all in the service of our nation. 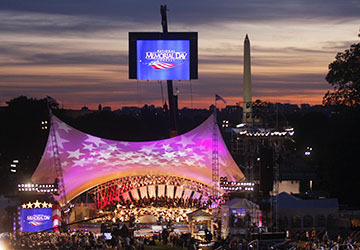 The National Memorial Day Concert shares such poignant stories – stories that need to be told. Stories that share the untold impact of war, the lasting effect on the families, the wounds that never really heal. Stories that ensure that our loved ones are remembered and honored, that they are not forgotten. As a Gold Star family member, I have a deep appreciation for those who work to coordinate and produce such a powerful event. Every year watching the National Memorial Day Concert, my eyes are filled with tears and my heart is full of emotion. 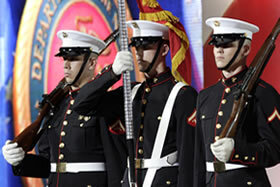 I am overwhelmed with patriotism and pride for the men and women who serve our nation in the armed forces. I am thankful for the honor and respect shown. 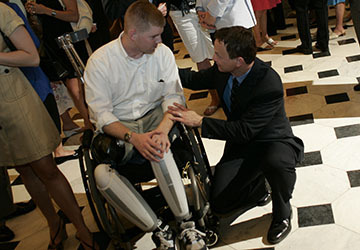 Americans everywhere are reminded of the freedoms they enjoy and of those who made those freedoms possible. And all over the United States, Gold Star families are filled with gratitude. 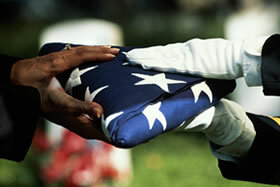 Because more than anything, we don’t want our loved ones and their sacrifices to be forgotten. So on Memorial Day, I encourage everyone to relish their three-day weekend, enjoy their barbecues and picnics, relax from a day off from work. But first, show your respect and appreciation. Honor those who greatly deserve our gratitude. Fly your American flag, reach out to help veterans in need, take part in a Memorial Day observance. And above all, never forget. 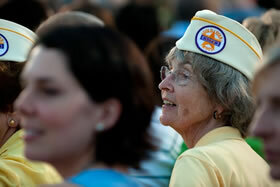 Jill Hubbs is the proud daughter of Cdr. Donald Richard Hubbs, a Navy pilot who remains missing in action in Vietnam. For over 25 years, Jill has belonged to a national organization, Sons and Daughters in Touch, a group of boys and girls – now men and women – who lost their fathers in the Vietnam War. Hubbs, a former elementary school teacher, is the Director of Educational Services and Outreach at WSRE, the PBS affiliate for the Florida panhandle Gulf Coast region. She is an Emmy-nominated producer whose credits include a weekly series, Conversations with Jeff Weeks, and historical documentaries, most notable being Gulf Islands National Seashore: The Treasure of the Gulf Coast. Her most recent documentary, They Were Our Fathers, is about Sons and Daughters In Touch and their mission to honor and remember their fathers at a special Father’s Day observance at the Vietnam Veterans Memorial in Washington D.C. Jill has one daughter, Sarah, and two grandchildren she adores– Rex and Sally – with a third granddaughter on the way. They all live in beautiful Pensacola, Florida, the city her maternal great-grandparents immigrated to from Norway over 150 years ago.